The best way to break the power of the past is to forgive. Forgiveness is not a feeling it is a choice. A choice to let God have it, hold it, and be responsible for it- whatever it is. Forgiveness is taking the power away from them and giving it back to God. You don’t have to trust them to forgive them. Forgiveness is not about restoring trust in them, it is about trusting God with them. 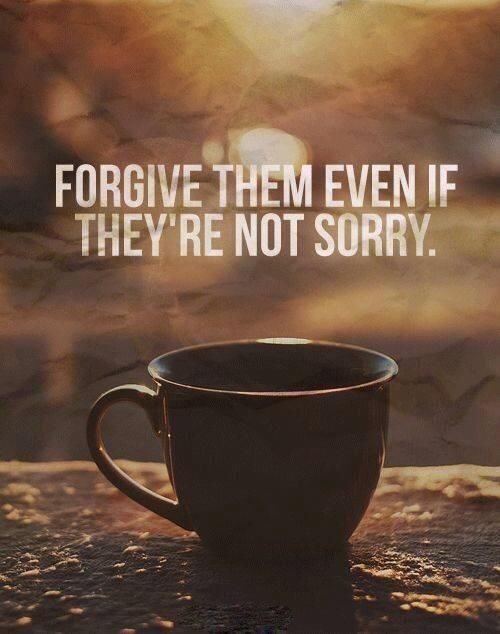 They don’t have to sorry in order for you to forgive them. They don’t even have to know that you have released them to God. What you do have to do is make the choice. And everyday after, continue to make the choice until the feeling lines up with the decision.